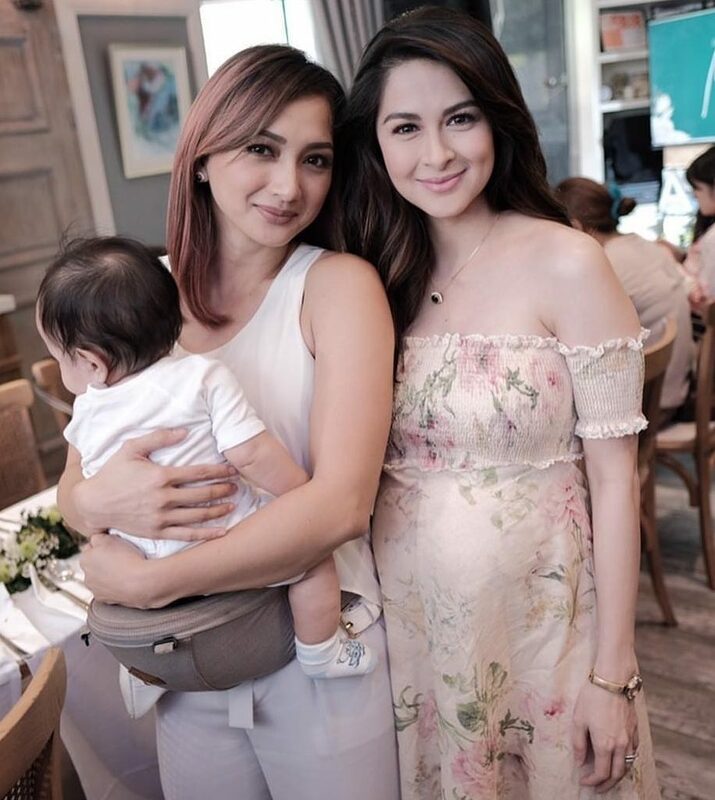 Is Marian afraid to have dark pigments as a side effect of carrying a baby boy? Marian Rivera talks about Motherhood. She is a Mom of a 3 year old and will soon be a Mom of a baby boy. The press noticed Marian’s blooming aura, and she look so happy and contented. “Although its hard, this is what I want and this is my dream. Maybe that’s why what’s coming out of my aura is a happy one.” the actor said. Friends already told Marian about the supposedly effects of having a baby boy on the mother’s body. Like darkening of certain body parts, like neck and armpits. It looks like it’s not an issue for Marian. She is even more beautiful now. But Marian said it’s not a problem for her. “Whatever the side effect of being pregant, stretch marks or even dark pigments anywhere in the body is okay with me. Because its my part as a mother,” Marian explained. Marian said she added applying lotion to her skin as a regular routine now that she is pregnant. Family remains as Marian’s number 1 priority. Especially now that she will soon be a Mom of 2. Previous PostMarian Rivera’ substantial advice for self-love.